Countryland Express Cloggers have been performing together for 6 years. Each member is experienced and dedicated to the art of Clogging. Countryland Express Cloggers are always ready for a new challenge and a new goal to reach. 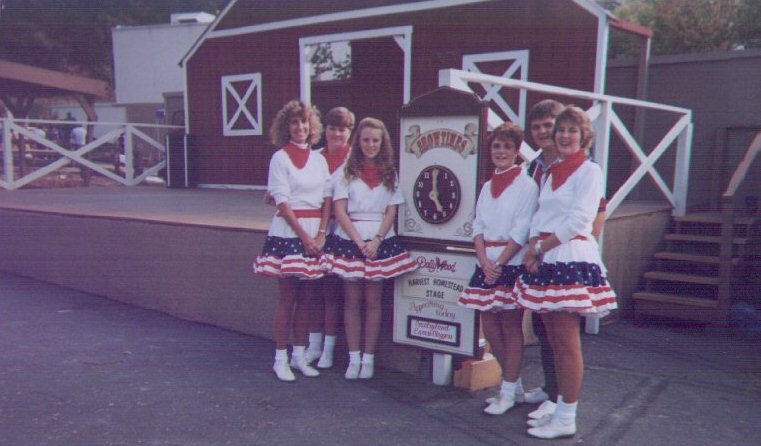 From the lobby of the local Wal-mart to the Big Stage of Dollywood, Countryland Express has danced a variety of places. Along with their appearances, the team has also performed many acts of community/volunteer service and charity fundraisers. Examples are The Untied Way, Jerry Lee Lewis Telethon, Chamber of Commerce, Historical Society Foundation, Children's Miracle Network, and many more. Countryland Express is proud to be from Galax, VA: the home of the World's Oldest and Largest Old Time Fiddler's Convention. Being raised in the area has made each member more appreciative of Old Time Mountain Music and its culture. of which clogging is an integral part. Countryland Express believes in not only performing a routine, but entertaining the audience!